This might be the best way ever to finish a fun meal with guests. Try it on a hot summer evening. In a bowl, combine the hot coffee and sugar. Stir until the sugar dissolves. 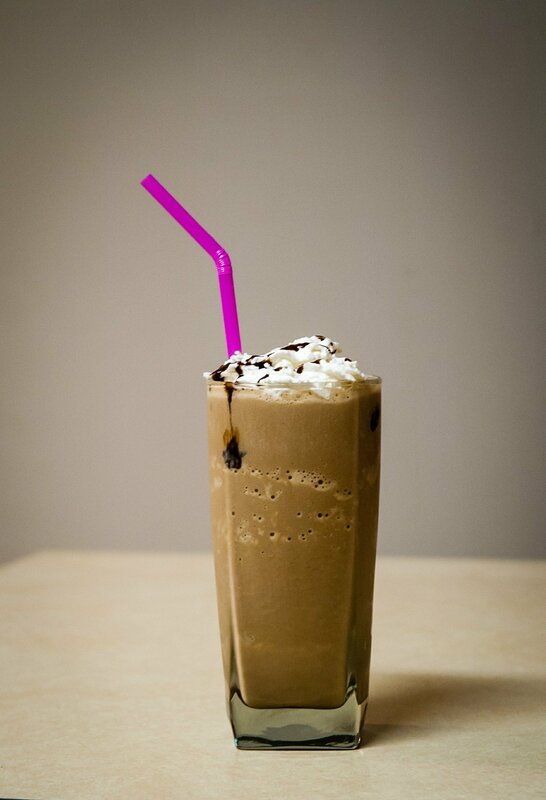 In a blender, combine the coffee mixture, ice cream, and milk. Blend the mixture at low speed until smooth. Divide the frappe among 6 slender tumblers or juice glasses. Add spoons and serve at once.